Tartiflette is a French speciality of the Savoy region. Rich and indulgent, it's a favourite apres ski dinner. 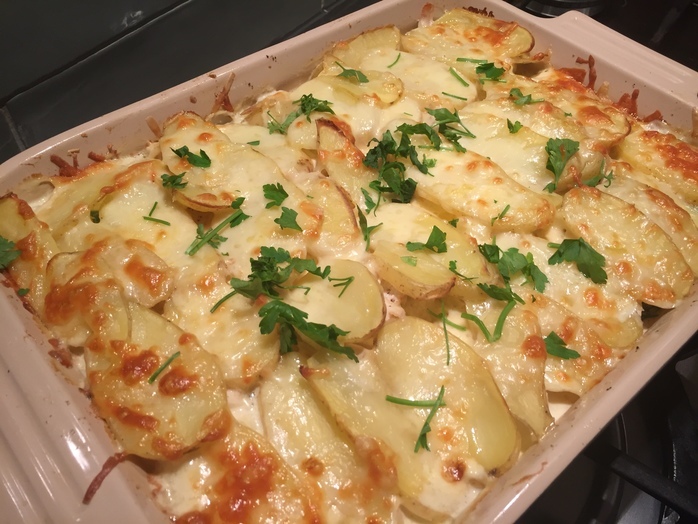 Traditionally it's made with Reblochon cheese, potatoes, lardons and a generous smothering of cream. Reblochon cheese is not always easy to get hold of so I have adapted the recipe to use cheddar and gruyere. In order to make it a more rounded dish, I've also included chicken and spinach. Slice the potatoes about 3cm thick and par boil for around 5 minutes until just going soft. Place the spinach in a colander and pour over boiling water to wilt the leaves. Immediately pour over cold water to refresh and then squeeze out excess liquid. Heat a little oil in a pan at a medium heat and fry the onions until soft, add in the garlic and fry for another couple of minutes. Remove the onions and garlic from the pan and set aside. Place the bacon lardons in the frying pan and fry until they are starting to crisp around the edges. Add the onions and garlic back into the frying pan, sprinkle over the flour and cook for another couple of minutes. Set aside. Mix the cream and stock together. Now starts the layering process. 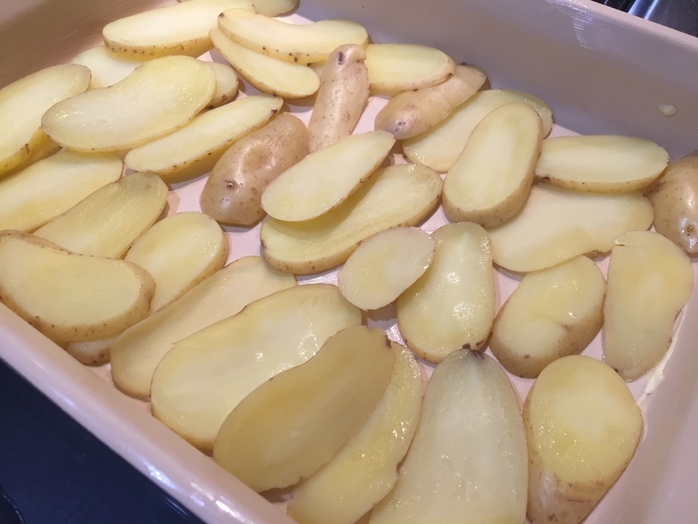 Layer half the potatoes on the bottom of the greased ovenproof dish. Next layer over the onion and bacon mix, followed by the spinach, chicken, half of the cheese and finally the rest of the potatoes. Pour over the cream and stock mix. Sprinkle over the remaining cheese and cover with foil. 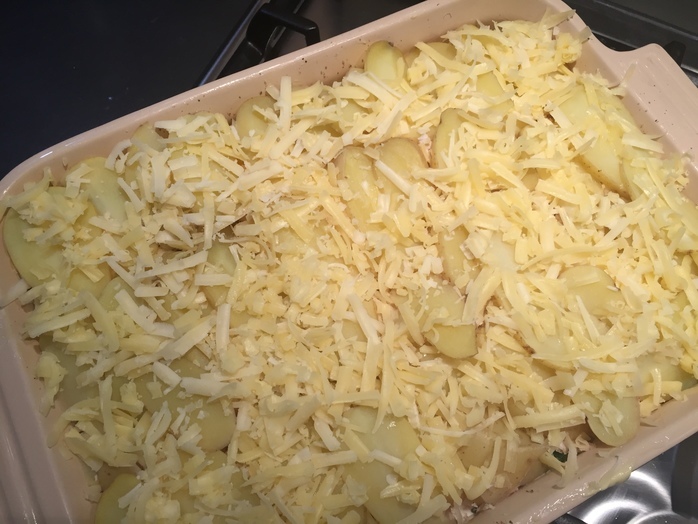 Place in the oven for 30 minutes and then remove the foil and cook on for another 20 minutes until the cheese is golden and bubbling.